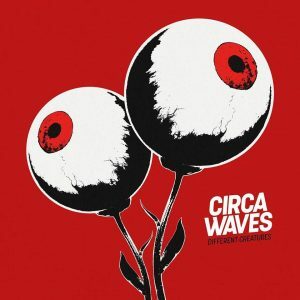 Hailing from Liverpool, indie-rock band Circa Waves are back with a punch and are set to release their album Different Creatures this Friday (10th March) – their first release since their album Young Chasers was released in 2015, featuring the hit summer single ‘T-shirt Weather’. ‘Wake Up’ is the first track and sets the sound as a bold and fierce start to the album. A heavy drum beat compliments the big guitar riffs which echoes through every song. The dark lyrics which run through the entire album are a stark contrast to the light-hearted lyrics which have previously been seen on songs like ‘T-shirt weather’, which proves that they have clearly matured drastically in their musical style. 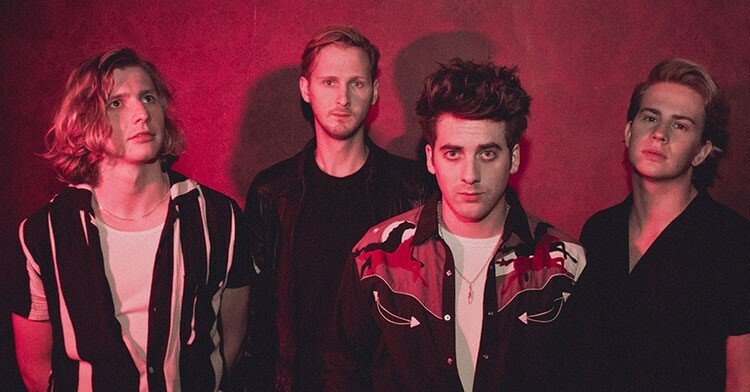 Gone are the days of the scrappy indie sound which we have heard before from Circa Waves. The third track on the album ‘Goodbye’ gives hints of Catfish And The Bottlemen vibes, with a toned down bridge before the chorus pumps back in and ends the song on a powerful instrumental. Released on Spotify a week before the album is set to hit the charts, ‘Stuck’, which is the eighth track is said by frontman Kieran Shudall to show that the band are “not messing around anymore.” The serious tone of the album can be sensed through the heartbroken style lyrics which portray a sense of anxiety and loss followed by edgy track names such as ‘Crying Shame’ and ‘A Night on the Broken Tiles’, which prove to be original and thought provoking. The darker themes of this album are implied through Circa Waves’ hope to progress from the day-time style Young Chasers towards a night time aesthetic with Different Creatures. The album name represents this change of stylistic tone perfectly. It feels like Circa Waves have fully released their creative demons in an attempt to make this album as fantastic as it is. Each song has a different vibe, portraying their talent for musical diversity and styles. The final track on the album ‘Old Friends’ is nostalgic and seems to be reminiscent of their past with a softer tone to the song. It starts off with the sound of a crowd in a pub or bar, then the light sounds of the guitar bringing the lyrics in which are less in your face but just as powerful, which leaves us with a sad ending to the album.